As a family, we don’t celebrate Father’s Day, or Mother’s day for that matter…. But recently there was a day in August when the focus was solely on my Dad, a special kind of father’s day….a birthday. My Dad, for as long as I can remember, had LOVED motorbikes. And whilst I know that he loves my Mum, my Brother, his daughter in law, me, his extended family and friends…His love of Motorbikes might just be his biggest love of all. Dad in heaven with Chopper, Harley and Johnny Cash. 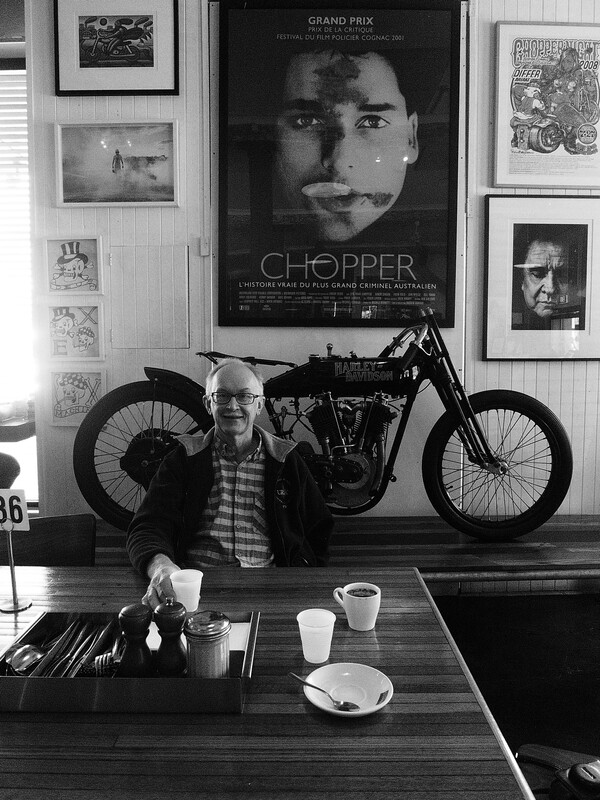 For his birthday this year, I indulged this true love…we ate lunch in a motorbike mechanic shop…not your grease lined, oil stained variety….a store more like heaven for those who worship at the altar of the Harley Davidson. 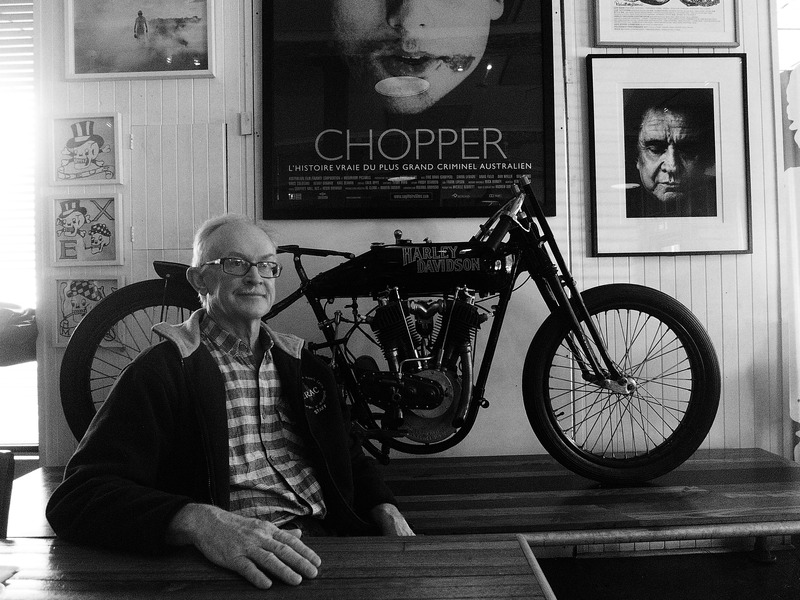 In inner Sydney, there is a motorbike shop, no, a motorbike emporium, where folk gather to worship, pay respect, drool and lust over the two-wheeler. It is a hipster hang out of the coolest variety….Deus Ex Machina, Parramatta Road, Camperdown, Sydney, Postcode 2050. A treat for Dad, which in turn was a real treat for me…It is not often that you get to spend time spoiling a parent..I felt as if the roles had reversed…Finally I was making the smallest of dints in my unwavering gratitude to my Dad.